If you want to be at your healthiest, you probably eat well and exercise often, right? How do you know that what you’re doing is really working, though? Your brain is one of your key performance indicators of health. If your brain is at its best, then so too is the rest of your body. With BrainSpan™ testing, you can get a definitive answer as to whether you’re predisposed to any conditions or health maladies that could impact brain health. Here’s what you need to know about this testing. Your brain is one of the most important organs in your entire body. If it fails or isn’t performing well, all other areas of your life are negatively impacted as well. Whether it’s lifestyle factors, metabolic factors, genetics, changes in health, or changes in diet, you need to monitor your brain health long-term. With BrainSpan™ testing, you can. As part of your BrainSpan™ testing you will be provided with a valuable Omega-3 Index. An Omega-3 Index over 8% is associated with improved memory, attention, learning, mood stability, faster recovery from concussion as well as lower anxiety, depression, and inflammation. Additionally, tracking your Omega-3 Index over time is one of the most important ways to help prevent alzheimer's disease, cognitive decline, and cardiovascular disease. BrainSpan™ is a type of blood test combined with a cognitive test that reviews the state of a patient’s cell health cognitive function. The BrainSpan™ testing measures the functional performance of your brain cells and multiple dimensions of cellular health. Combining an understanding of both brain performance and cellular health allows Dr. Duben to help diagnose issues and improve your overall health and wellness. •	Chances of inflammatory imbalances through reviewing cell health biomarkers. What’s even better about these tests is that you can do them in the comfort of your own home. The cell nutritional health assessment requires a blood spot test. Then the functional brain health metrics can be presented via online testing. This only takes about 15 minutes. Still, in that time, BrainSpan™ Laboratories will have tested your cognitive flexibility, processing speed, memory, and attention abilities. 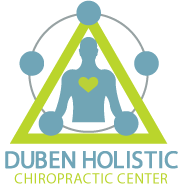 If you’re interested in undergoing BrainSpan™ testing in the Thousand Oaks area, we encourage you to stop by Duben Holistic Chiropractic Center. Our chiropractic team administers many health services, including nutrition lessons, care for pregnancy pain, pain relief (from neck pain, back pain, and more), nutritional guidance, the neuro-emotional technique, the morphogenic field technique, laser therapy, holistic pain relief through chiropractic care, and applied kinesiology. To book your appointment today for BrainSpan™ testing or any of our other services, call 805-468-4437 or stop by Duben Holistic Chiropractic Center on 3625 Thousand Oaks Boulevard, Suite 172.